Brilliant Design and Super simple and easy to use. The beauty of Google Duo Video Calling App. 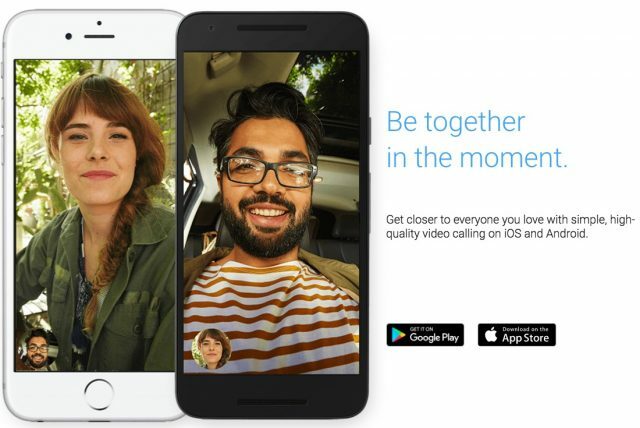 Download Google Duo for iPhone and Android today to make free video calls to your friends in HD (High Definition). Google released its video calling app Duo couple of days ago for iOS users and its definitely the best video calling app for iPhone. Today, they have released Google Duo for Android as well. You can make high quality video calls to your friends instantly and the UI is super simple and easy to use by any one. You can download Google Duo from Google Play Store or iTunes App Store now and install it in your smartphone. Start making calls or invite your friends to download and install Google Duo in their mobile phone. Knock Knock is one impressive feature and feels like a new tech for Google Duo users. You can now see the video preview before answering the video call from your friends and family. This way you can answer immediately or later to your friends. Google Duo is what Facetime should be in iPhone and iPad. It’s super simple and the UI, Design makes it a recommended app for iPhone and Android mobile users. So, what do you think about the all new video calling app for iPhone and Android from Google? Feel free to drop your comments below and don’t forget to share a word about this wonderful Video Calling App to your friends and followers. Have a great day. HOW TO: Root any Android Phone Easily without PC ?